Heroes By The Pint Chelsea is a wild card. She is a single-mom of two amazing super-kids, an Ohio State alumni, a fine artist, coffee lover and an adventure seeker. She can often be seen longboarding to the studio for our casts. She managed a craft brewery for years and is a beer aficionado. Her first crust was Raphael from the Ninja Turtles and from then on it became clear that Chelsea loves a good anti-hero. 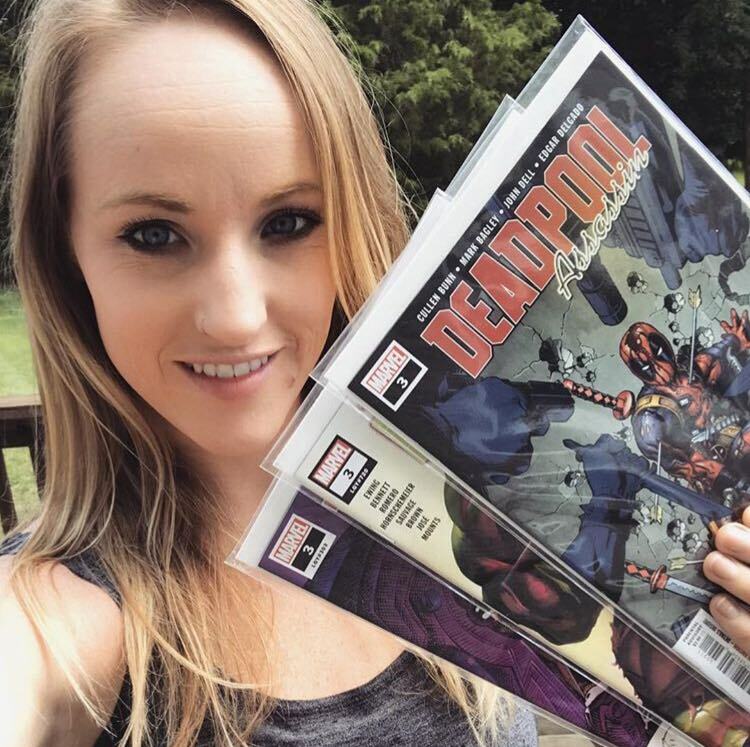 Whether it be Old Man Logan or Wade Wilson a good bad guy always has her heart. Although she may not be an X-men, she is the X-Force to be reckoned with on the mic. Always down for a good laugh and a cold beer this lover of IPAs and all things comic books has made it clear, it is nerd life or bust for this girl. Fav Heroes: Deadpool, Wolverine, Red Sonja and Raphael Fav Brews: IPA’s - double, American, hazy. Blonde ales and Red ales.